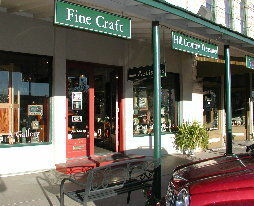 Artisans is a brick-and-mortar gallery located on Main Street, in historic downtown Fredericksburg, Texas. We sell one-of-a-kind original artworks. At this time, we do not yet employ a shopping-cart system for customers to purchase artworks online. It often happens that not everything we have on our site is currently for sale and not everything we currently have for sale is on our website. But… We gladly take phone orders! …and we will visually verify that the item is still available for sale and can even email you a photo within minutes. Your payment information can be taken over the phone or we can make other arrangements. And never fear, we safely ship fine art all over the country.